This laundry box is not just perfect for homes, but also for hotels, villas, or resorts. 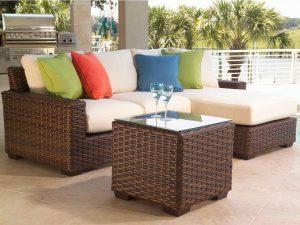 Made from fine quality synthetic wicker, this furniture is made to endure for years, promising more usefulness and maximum utility. Apart from its simple shape, this laundry box is endlessly adaptable with every home interior, becoming a part of your living space that you will find very versatile. In addition, the Loundry Box is the most ideal storage for your laundry, at anytime of the day. This synthetic furniture is what to have if you a neat person who loves to see anything organized and tidy.